This article focuses on the second element of breach. As discussed in our last article, an injured person must first show that the defendant owed a duty of care. This duty can arise from statute or regulation, industry standards, the activity at issue, and a special relationship between the parties, among other sources. It is first up to the court to first determine whether the defendant owed a duty as a matter of law. Once a duty to act (or abstain from acting) has been established, it is up to the jury to decide whether the defendant has breached his duty to act in accordance with the standard of care. In general, the duty owed is one to act as a reasonable person under the circumstances. In a civil case, the injured party has the burden of proof by a preponderance of the evidence. A preponderance means that it is more likely than not that a certain fact is true. Simply put, an injured person must show that it is more than 50% likely that the defendant acted in a way to breach its duty of care to the injured person. What constitutes a breach depends on the duty at issue. For example, in a car accident case, the defendant may owe duties to keep a proper look out for hazards, control his speed, and maintain safe distances between him and other cars around him. Where a defendant driver causes an accident because he was texting while driving, that activity will likely constitute a breach of his duty to exercise reasonable care. This is a simple example. In other cases, the breach element can be much more difficult to prove. Consider for example, a situation when a subcontractor fails to properly weld overhead equipment, the equipment falls on a worker below. Proving a breach may require the testimony of an expert witness who understand how welds should be properly performed, or an expert who is knowledgeable about industry safety regulations. Product liability cases can also present complex breach analyses. 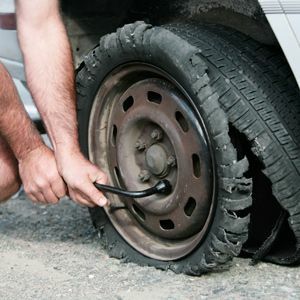 For instance, a breach where a new tire blows out under ordinary use, the resulting collision may be the result of a breach by the manufacturer. 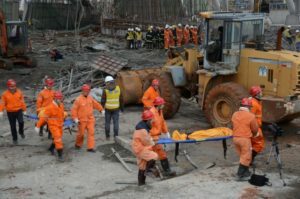 However, proving that a breach occurred will require expert testimony regarding the cause of the blowout, eliminating alternative causes, and determining whether the incident occurred because of a defective design or manufacturing. A reconstructionist may also need to be called to testify as to the mechanics of the accident. Therefore, regardless of the type of case, it is very important to hire experienced, knowledgeable lawyers who are well versed in the law and cognizant of the requirements that each unique case will demand. Our lawyers have handled personal injury cases across many industries and contexts. Please do not hesitate to call us for a free, in-depth consultation regarding the facts of your case.